Though it’s been 10 years since the financial crisis of 2007 and 2008, many industries are only just shaking off its aftermath—and business education is no exception. According to a report published by international accreditation body the Association of MBAs (AMBA) today, which collated data from 223 AMBA-accredited business schools around the globe, MBA programs worldwide are now receiving continuous growth in application numbers for the first time since 2009. Though the data from the AMBA Application and Enrolment 2017 report may not give a complete picture—there is a significant blind spot over the United States, where Hult International Business School is the only AMBA-accredited school and so offers the sole US contribution to the data—the study still offers an illuminating picture of the state of the MBA in recent years. In particular, it shows that between 2009 and 2014, schools saw an average decrease in applications of 44% per program, while the average number of enrolments decreased by 8%. This was possibly a response to the tightening of purse strings following the financial crash and the international credit crunch, not to mention industry scrutiny on the role of business school curricula in crafting the managerial styles that precipitated the crisis. But it seems that the storm has now passed: since 2015, average applications per program have increased by 10%, while the average number of enrolments per program has increased by almost a quarter. This increase has also been accompanied by gains in applications and enrolments from women on AMBA-accredited MBA programs. According to the report, the proportion of women MBA applicants has increased by 4% since 2013, with an overall increase in the proportion of women who applied for and enrolled on MBA programs. Although gender parity across courses is still yet to be achieved, the gender proportions of MBA applications generally matched the gender proportions of enrolments in each region. This suggests that women’s chances of being successful in their applications broadly align with men’s. Globally, women accounted for 37% of applications and 35% of enrolments, while men accounted for 63% and 65% of applications and enrolments respectively—although there was significant variation in these figures across regions. For example, India has the least balanced proportions of men and women applying and enrolling to business schools, with men accounting for 90% of applications. North America and the Caribbean, China, and Hong Kong were the most balanced—although even in these regions, only 42% of enrolled students on AMBA-accredited MBA courses in these regions were women, and it must be remembered that data for North America is limited. 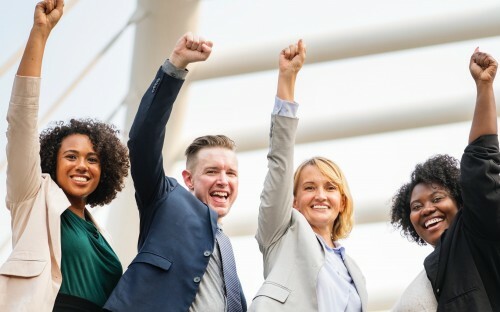 There are some business schools who have achieved gender parity in their cohorts: at the UK’s Bath School of Management, for example, 53% of this year’s MBA class is made up of women. However, measuring the benefit of an MBA program for women solely by the demographics of the course may miss some essential factors. ESADE Business School was recently ranked as the best European business school for professional women based on the high salary increases of their female graduates, among other factors. This is despite the percentage of women on their course, at 32%—clearly, there are other factors to consider. “This important study highlights the resilience of AMBA-accredited business schools in responding to economic challenges affecting the MBA market,” he said.